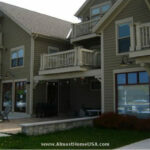 You will greatly enjoy your stay in this one bedroom furnished apartment. 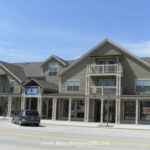 It is beautifully located on the Sheboygan river within minutes from Lake Michigan . . . In this two story 3 bedroom 2 bath condo, you will enjoy your morning cup of coffee from the deck or balcony with breathtaking views . . . This three bedroom furnished condo is located on the Sheboygan River and right across the street from Lake Michigan in charming downtown Sheboygan. With partial . . . Almost Home Sheboygan furnished apartment tenants will discover a variety of charms in this nostalgic, yet very developed lakeside community, from exciting water parks and resorts in nearby Kohler to meandering along the south pier enjoying beautiful Lake Michigan. If you are staying in Sheboygan with little ones under tow, you will be pleased to know that the city is regarded as one of the best family-friendly cities in the U.S. Andrew, a South Pier resident, recounts how the family-friendly atmosphere of Sheboygan motivated him to move to the city. In addition to it being a clean, safe city, the large number of family-friendly activities also makes Sheboygan a winner for families. The South Pier area has a beautiful walkway along Lake Michigan and a pier that extends way out into the water, further than most other piers along the Lake Michigan shoreline, providing a great opportunity for fishing. Andrew also mentions that one of Sheboygan’s best-kept secrets is an area of undeveloped shoreline a little north of downtown. This area contains numerous walking paths along which are even wild raspberries, free for the picking. Stir-crazy temporary housing renters will find the resorts in nearby Kohler, WI to provide them with the thrilling amusements necessary to burn off some pent up energy. Even closer than Kohler is the lakeside resort Blue Harbor, right on the South Pier peninsula. There you can enjoy the Breaker Bay indoor water park even in the coldest Wisconsin winter months. Daily passes can be purchased without having to stay at the resort. For the Sheboygan corporate apartment dweller that happens to enjoy shopping, Sheboygan will not disappoint in this area either. "The downtown district has recently been revitalized," says Andrew, and is now an excellent place to browse through a number of interesting shops. 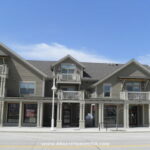 Additionally, in nearby Kohler there is Deer Trace Plaza which provides even more tantalizing shopping options. Sheboygan also provides numerous venues for music and art lovers. In the Summer there is a lot of outdoor music in Fountain Park (downtown) on Saturday and Wednesdays and also at the farmer’s market. The South Pier district also has live outdoor music periodically, a very convenient location for our furnished apartment residents in that area. For a little more sophisticated entertainment, you can visit the Weill Performing Arts Center where numerous plays and musical performances occur weekly. On a budget? Check out some of the free performances at the John Michael Kohler Arts Center (donations only). While there are numerous art displays there year-round, you will definitely not want to miss the art fair that occurs there every July. 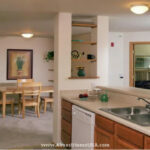 Usually, Sheboygan temporary housing residents enjoy cooking their own meals in our fully equipped kitchens. 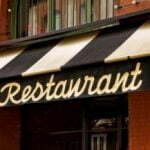 However, tasting of Sheboygan’s excellent dining is sure to satisfy. . . .